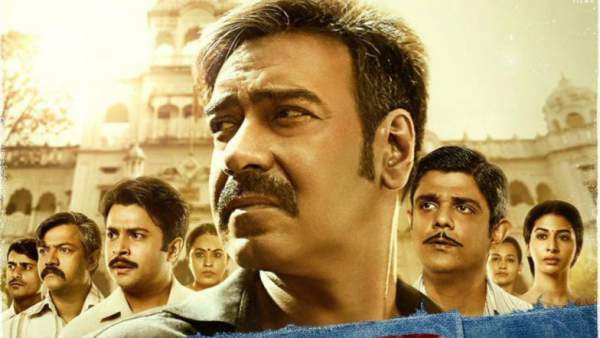 Raid 1st Week Collection: Here we are with the box office report of Ajay Devgn’s Raid. Let’s check out how much it has earned in its first 7 days of release. The movie has been performing really good at the worldwide BO. Though it started on a slow note but it gained momentum over the first weekend. Trade Analyst Taran Adarsh has shared the figures of collection till today. And it goes like this – Friday 10.4 cr, Saturday 13.86 cr, Saturday 17.11 cr, Monday 6.26 cr, Tuesday 5.76 cr, Wednesday 5.36 cr, and Thursday 4.66 cr. So, the total collection stands at Rs. 63.05 cr in India only. The trends suggest that it will cross the mark of Rs. 100 cr this week. The latest movie of Ajay Devgn has got a lot of positive reviews from the critics. The story is based on true events of 1980s and 1990s when Indian Revenue Services (IRS) followed the income tax raids. Ajay is portraying an Income Tax officer with Ileana D’Cruz as his wife. Actor Saurabh Shukla has portrayed Tauji. Though Ajay has been seen in a variety of police officer’s roles but he has played an income tax officer for the very first time. Raid is very different from his earlier films like Singham and Singham Returns. The flick was released on over 3400 screens in India and got 369 screens overseas. Directed by Rajkumar Gupta, the film needs to do stable business this week to become the second highest grosser of 2018 after Padmaavat. Ajay has been in the Bollywood film industry for over 25 years now and was last seen in Golmaal Returns. Ajay and Ileana’s first collabration Baadshaho couldn’t do well at the box office, but the latest one is garnering moolah. The first week collections of Raid has surpassed what Akshay Kumar’s PadMan did.